- Our Kenda Bear Claw tires ship out within 1 business day in most cases! 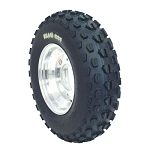 - A superior atv tire for almost any terrain! - Kenda Bearclaw has bead guard protection. 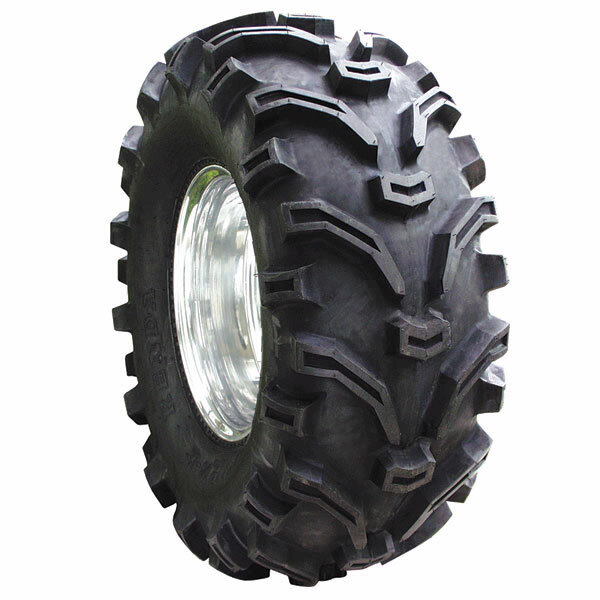 - All Bear Claw atv tires have a claw hotpatch on the sidewall. I received the Kenda Bear Claw tires very quickly, and I love the new traction I am getting with them and they do not tear up the grass. I purchased them for the front and will be buying them for the back. I recommend Pure Off Road as a company you can feel safe buying from and they deliver in all ways. These tires are awesome in the snow. Have these tires on my Honda rubicon and my Polaris ranger. Great traction and seem to last. Ride smooth on road also. Great BUY! Great PRICE! GREAT SERVICE! Thanks for the great experience; The Sales Rep I spoke with was very helpful knowledgeable and overall interest in getting me the best tires at the best price. I have a 84 Big Red 200ES and there are not many tires offered for this ole trike but the rep help me find the best tires on the fly when I couldn’t find the tire I wanted in the correct size. Overall very happy with the Bear Claws the performance is great in all conditions; they ride great and should last for years on my Big Red. I will be a return customer when my buying experiences go like this one did..
i have a 97 banshee thats been upgraded to the max.my biggest problem was getting traction,these tires took care of that problem first run.i even got a nail in one of them and due to their 6 ply construction i couldnt even tell i had a flat! these tires to me are top performers. Excellent tires, very good customer service, prompt delivery. Awesome looking tires. We have not been able to try them out due to winter weather up here in Wy, and waiting on a little warmer weather. Tires were delivered within 4 days of ordering, very prompt! Received my tires on time as promised. I now have them mounted and they work great. Great tire for the money. Received my order in a very timely manner. Very happy with this purchase. Thanks guys! the claws are more tire than expected beefy should really do the trick as always arrived on a timely manner pureoffroad have all my bizz for life they can't be beet far as I am concerned 89fourtrax with claws is boss the moto mtcs I put on my 2012 850xp are the real deal on crusher rims .I can walk through field of one to two foot chunks of limestone with ease total; package its wicked sick . think ill be ordering black diamonds four my 85 big red next . Just recieved...very quickly. tread looks great and sturdy tire...look forward to taking it on a mountain trip i have scheduled. Love these tires! great grip on the hard pack, especially in cornering. does real good in moderate mud. A little loose in fine sand. overall great looking and great riding tire. These tires are perfect.They ride smooth and there not too aggressive but will get you out of a hole when you need to. Q: Will a 22×8-10 tire replace a 22×9-10 tire on a atv? Q: Does the rim come with the tire? A: No, the rim is not included with the tire. If you buy rims we will mount the tires on the rims for you but they are sold separately. Q: how do these work on side by sides,I have a can am commander and i'm looking for a second set of tires for my my bead locks? A: These work well on any application for an affordable all-purpose tire. I would consider something like the Bear Claw HTR for your Commander because it's a more heavy duty tire with an 8 ply radial construction. Q: I am in Canada i want to know the price of 4 tires 24x9.00x11 with the tax and delivery in Canadian money plz and thank you ? A: We need your postal code to quote the shipping. Q: I currently have 24x9x11 rear tires on my Honda fourtrax, I want to go 1 size bigger are the 25x10x11 1 inch taller tires than what I currently have ? A: Yes, they will be 1 inch taller and 1 inch wider. And they will work on your current rims. Q: Will a 22x12-9 tire fit on wheel that currently has 22x10-9 stock tire? Q: I have a Polaris 600 that has a rear tire size of 25x11-12 that's not listed here. Is there another size can I go with that would be a suitable replacement? A: 25x10-12 is the closest size this tire is offered in. It's just 1 inch skinnier. It will fit just fine on your machine. Or we have other options that come in a 25x11 if you want to look at those. Let us know. Q: Could you please tell me the max load capacity of this tire? Thank you. A: What sizes are you looking at? Q: Does this tire fit on an Argo 8 wheel Rims? A: Yes these will fit your ARGO. Let us know if you're interested in some. Q: What is the tallest tire for my stock 2105 Polaris Full size, it currently has stock 24x8x12 front and 23x10x12 rear? Also what tire is recommended for off road multi use , hard pack to mud and snow? A: I recommend just going up 1 inch from the stock sizes. There are many all-terrain tires that would do a great job for you. I would recommend these bear claws, the Duro Buffalo, GBC Dirt Devil, Interco Swamp Lite, and many more. Give me a call if you have any other questions and I can help you. 877-852-2314 ask for Spence. Q: What is the ply rating on these tires?